Have you ever wondered if God has heard your prayers? This study in God’s word will give you confidence that God not only hears your prayer, but he will also answer each and every petition which you request of him that is according to his will.Throughout this study and other studies you will find links to other related studies, and in some studies such as this one I will give a list of all the studies that I presently have written on that particular topic. Just click on the title you want to view and a new window will open with the study you have selected. So then, what is it that you desire? What do you desire of God? And did you know that the desire which you have deep within your heart may well have been given to you by Almighty God himself? This word "Selah" means to stop and ponder, or to pause and think about this. This word is like a sign trying to get our attention, saying to you, Hey, God truly wants to grant you the desires of your heart and answer your prayers. So then, why does it feel at times that our prayers seem to go unanswered? Well the answer to this question may be different from one time we pray to another time that we pray. In other words, there are many obstacles that prevent our prayers from being answered. We will look at some of the obstacles that hinder our prayers in this study, but for now let us begin this study in God's word by reading a verse of scripture from First John chapter five verses fourteen and fifteen. I John 5:14,15 reads as follows from the King James Version, which I will use throughout this study, unless otherwise stated. God’s word assures us that we can have confidence that he HEARS our prayers, and not only hears our prayers, but also gives us the desires of our hearts by answering our prayers, IF they are ACCORDING to his WILL. So what is the WILL of God? Well, the word of God IS his WILL. Therefore if you find it written in his word, then you will know for sure that what you read in his word IS his WILL. For instance, when we pray for the ones we love who do not know the Lord as their personal Savior, we can KNOW without a doubt that God HEARS our prayer concerning them and that Almighty God WILL without fail answer our prayer and bring it to pass, IF we trust and believe him to do it without wavering. So do you desire that someone you love or someone who is close to you to come to the knowledge of the truth, to realize that they have fallen short of the glory of God, and come to repentance and accept Jesus as their personal Savior? Perhaps it is a family member, husband or wife, a mother or father, a son or a daughter, a brother or a sister, an uncle or an aunt, a nephew or a niece, or some distant relative. Perhaps it is a friend or a co-worker, or maybe a neighbor. It may even be a complete stranger you have never met, but were told about by a friend and asked to pray for to be saved. It does not matter who you pray for to come to the knowledge of the truth and be saved, your prayer WILL BE HEARD and God WILL BRING IT TO PASS, IF you believe for God to do it and you do not waver or doubt. There is a lot I want to point out in these scriptures so that your faith will be built up and made strong and you will KNOW that God HEARS your prayer and that he WILL without fail answer your prayer and BRING IT TO PASS according to the petition that you have desired and requested of him. Let’s begin with the word “CONFIDENCE” that is found in I John 5:14. Sometimes we think we know what a word means so we don’t bother to look it up. I have found much strength in looking up even the most common words that we use every day. The word “confidence” in the Strong’s concordance means boldness, frankness, public openness of speech (inferring to every word we speak, or in other words, not only our prayers which we speak forth to God, but also our everyday speech, or conversation to our fellow man, especially when thoughts of doubt, fear or worry, try to creep in and cause us to waver). Stop and think how many times you pray for something and a fellow brother or sister in the Lord comes along and starts up a conversation with you and you are faced with the decision to speak either words of FAITH or words of DOUBT that would be in agreement with this other person rather than in agreement with God's word and your prayer? Every word we speak must remain in AGREEMENT with our prayer of FAITH and God's word, otherwise the enemy will accuse us before the Father that we are wavering in our prayer, and therefore our prayer will CEASE and NOT be answered. This is one of the main principles that hinders our prayers from being answered. The American Standard dictionary defines confidence as being an intimate and trusting relationship, a feeling of assurance or certainty, confident, being very bold, presumptuous. The word “presumptuous” means excessively forward or confident, arrogant, audacious, having audacity, the act of presuming or accepting as true in the absence of or prior to having actual proof. These are strong, very strong words. We as Christians can have the confidence, the boldness, the presumptuousness, the arrogance, and the audacity to proclaim that our loved ones who we have prayed for, and who we are yet believing will come to the knowledge of truth. And to confidently say that they are already saved, even though we do not have any actual physical proof that they are saved. This is one of the meanings of the word “FAITH”. Can you not see my dear brothers and sisters in the Lord that having this awesome CONFIDENCE that God hears our prayers and also the surety that God will without fail also answer our prayers and bring them to pass is in essence meaning of faith. The truth of the matter is that God has ALREADY saved every man woman and child in the world, in that, the price for their redemption has already been paid. Jesus did not just die for this one and that one. Jesus died for the whole world, all of mankind. All that is needed now is for them to hear the truth, come to the knowledge of the truth and acknowledge this truth in their own hearts and then confess that Jesus is their Lord and Savior. So rather than beg and plead in prayer with God and pray things like, “Oh God please save my brother, or Father please save my wife, or Lord please save my husband” from the mind set of trying to convince God or praying with the mentality of pleading and begging God to save them, but pray instead the word of God in FAITH knowing you WILL without fail be heard and answered by your Heavenly Father. Base your prayers upon the word of God, so that your prayers will be full of faith and confidence that God will hear and answer your prayers. The word of God here is basically commanding us to PRAY to Almighty God to send forth laborers to preach the gospel to the lost in order for them to come to the knowledge of the truth and be saved. Now this verse commands us NOT to say things like, "Oh there is plenty of time for John Doe to hear the word and be saved" or "Well, I don't think John Doe is ready to hear the word of God as yet, he will surely be turned away from God if I share the gospel with him now." No my dear brothers and sisters in the Lord, we need to pray for God to send forth laborers into the harvest and then believe that they are READY to HEAR and RECEIVE the word of God and be saved. Pray that they will receive God's word. Pray that their eyes of understanding will be open to understand the truth. “Heavenly Father your word says that the harvest is white and ready to harvest. Therefore I believe that my husband is ready right now to come to the knowledge of your truth and accept your Son Jesus as his Savior. Father I pray and ask you to send forth laborers to preach the gospel to my husband. You know what is in his heart Lord and Father you know exactly what he needs to hear and how he needs to hear so that faith will come and fill his heart. Draw him by your Holy Spirit unto yourself for I know from your word that no man can come unto your Son Jesus unless you draw them. Father I also thank you for your goodness and mercy towards my husband for your word tells me that it is your goodness that leads him to repentance. I thank you Father for opening his eyes of understanding that he may know you to be the only true God and your Son the only name under heaven whereby he may be saved. Thank you for writing your word upon his heart and upon his mind. I hold up the shield of faith against the wicked one to quench all his fiery darts of doubt and unbelief. Satan I command you in the name of Jesus to remove the blinders that you placed upon my husband's eyes to keep him from seeing the truth. Now when praying for other people their own “free will” enters into the picture, so it may take some time before they submit their will to God's will and surrender their life to him. So write out your prayer and call the person you are praying for by NAME. In other words, don't just say my brother or my friend, but rather call them by name before God in prayer. Also pray the prayer out loud, then date and sign the prayer as a witness before God, the angels, and the principalities and powers of darkness, and as your own personal documented evidence of exactly what and how you prayed. This written prayer will then also serve as a reminder of exactly what and how you prayed, so that when the devil tries to bring doubt into your mind you can hold up the prayer and remind the enemy that your husband or who ever you prayed for is already saved and therefore it is settled. I know that it is hard to make positive confessions of faith, when the CIRCUMSTANCE all around you say the OPPOSITE of what your have prayed. So keep in mind that sometimes when you are praying for others it may take some time. And when I say time, I mean that is some case it may take years to breakdown the strongholds of the enemy. This is where the word says you have need of PATIENCE. God’s will is that you pray or ask anything according to his will and believe that his promise is to you is that he will bring it to pass without fail every time. So therefore be patient and wait with CONFIDENCE. God is FAITHFUL that promised. The answer is on the way, so just consider it as ALREADY being done even when there is no actual physical evidence that anything is happening. 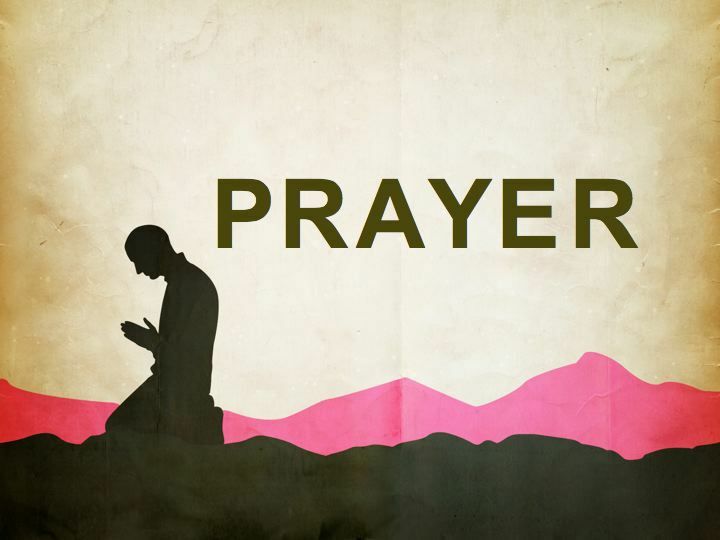 When Daniel prayed and fasted for twenty one days he came to know later that God sent the answer the very first day, but it was held up by the ENEMY, the principalities and powers of the air, which kept the answer of his prayer from getting through for twenty one days. Now to me there is no doubt that if Daniel had given up at any time BEFORE he actually received the answer to his prayer, then I am convinced that he never would have seen the answer. So don’t give up. Keep on believing, do not CEASE in your prayer, because God is bringing it to pass and the answer is on the way. Be excited and delight yourself in the Lord in the same way that you would if you have already actually received the answer to your prayer. Rejoice in the Lord always and again I say rejoice. I did this with when praying for a friend of mine to be saved. I rejoiced so much that tears of joy flowed down my cheeks. My heart was so full of gratitude for weeks before the answer was actually manifested that, when the ACTUAL PHYSICAL manifestation of my friend accepting Jesus as his Savior took place, I was not over joyous and did not rejoice and give God thanks when he told me that he had accepted Jesus as his savior. He told me later that he thought that I would have been more excited about the news of him accepting the Lord. I then had to tell him that I had already been rejoicing for weeks before and already knew that he was saved weeks earlier. You can do the same with every prayer you pray. So therefore, consider by faith that your husband, your wife, a family member, or whoever you are praying for is already saved even though you have no physical evidence as yet. BY FAITH call things that are not yet seen in the physical realm as being already done in the spiritual realm and begin to give God thanks and praise just as if it already has come to pass. Delight yourself in the Lord. Cast all the care, fear, doubt, worry and anxiety upon the Lord for he cares for you. Be diligent about giving Almighty God thanks for bringing it to pass by accepting his word as being true without having the actual proof of your husband or loved one being saved. Resist any doubt from the enemy and the doubt will flee from you. And ASK God to form positive confessions of faith in you. Thinks like; Thank you Father for leading my friend to hear your word on the radio; every time he listens to the radio there will be something he hears that will bring to his remembrance the seed of your word that you planted in his heart through me. And always BELIEVE what you pray. One of the hindrances to our prayers is that we sometimes WAVER. “But let him ask in FAITH, NOTHING WAVERING. For he that wavers is like the seas driven with the wind tossed. For let not that man think he shall receive anything of the Lord. A double minded man is unstable in all his ways." The word “waver” means to move back and forth, to show irresolution or indecision, to doubt, to be unsure. Irresolution means to be unresolved, which is the opposite of being resolved. The word “resolved” means to make a FIRM DECISION and to dispel any and all doubts and to become firmly determined. When someone is firmly determined you just cannot stop them from getting what they desire. Can you see how important FAITH is to RECEIVING answers to our prayers? It is so vitally important that we remain steadfast in our faith, our believing God when we pray. Another meaning of faith is to be consistent in speech. When doubt comes, resist it and refuse to confess that your loved one is lost. Let God be true and every opposing circumstance a lie. 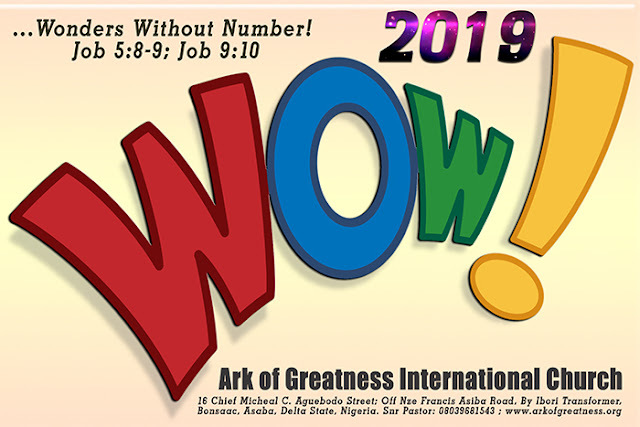 Don’t focus on what is seen, but on God’s word, which tells us in second Corinthians chapter five verses eighteen and nineteen, that God is RECONCILING the world unto himself. This means that God is restoring that broken relationship between himself and mankind, between your husband and himself. God is bringing it to pass. Think about it this way; God desires your husband to come to the knowledge of truth MORE than you yourself desire him to accept the truth and believe. When the symptoms of sickness come upon you, God wants you to be healed more than you desire yourself to be healed. Picture God like a runner in the starting block ready to spring as soon as he seen your FAITH. God HASTENS his word to perform what he has spoken in his word. And God has spoken that he is NOT willing that ANY of mankind should perish. God has spoken that he desire ALL of mankind to come to the knowledge of the truth and be saved. God has spoken that if we ask ANYTHING according to his WILL that he not only hears us, but also that we HAVE whatsoever we PRAY. So BELIEVE what God has spoken and KNOW that is waiting and standing by to HASTEN his word to PERFORM it. The word “hasten” means that God is diligently watching over his word. He is standing guard over his word ready to perform it. No matter what the circumstances or what things seem to be in the natural do not get into unbelief or doubt, but REST in the knowledge that God is PERFORMING his word and bringing your prayer to pass. He WILL GIVE you the desires of your heart IF you hold fast to the confession of your faith and cast not away your CONFIDENCE, but patiently wait and rest in the Lord. God longs to be gracious to us and answer our prayers, but sometimes there are hindrances that keep God from hearing and answering our prayers. Verse two in Isaiah chapter fifty nine tells us another one of those hindrances. Now believe that he is faithful to forgive you and pray your petition with a pure heart knowing for sure that there is now no separation between you and God. There are a few more points or approaches to add to your prayer. One of the principles of prayer that I have found to work best for me is to call things that are not as though they were. This principle has gotten “a bad name” so to speak, because of the name it and claim it generation, which went to the extreme and began using God’s word for worldly gain. Nonetheless this principle is STILL in the word of God and is one of the best forms of prayer that I have found to receiving answers from God. Let me just say, when the only way I knew to pray was to ask God and hope he would answer, my prayers that were answered were about one out of a hundred. It seemed that God almost never answered my prayers, when I used to pray this way. However, after I learned to call things that are not as though they are and let my request be made known to God with THANKSGIVING, then the answers to my prayers grew to nearly one hundred percent. When I say on hundred percent I am speaking of my prayers for myself where no others person's WILL comes into play. It would be great if we could PRAY everyone into the kingdom of God, but this is not God's plan. God's plan is to save mankind by the foolishness of PREACHING so that whosoever BELIEVES on his SON shall be saved. You can still use the SAME principles of praying, but I do not want to mislead any of my readers to think that whosoever they pray for will be saved. However positive confessions of faith calling things that way you WANT then to BE and not calling things the way they are, which you do NOT want them to be will most definitely improve the results of your answered prayer. But never rely on prayers alone. When Jesus could not heal people in his own home town because of THEIR unbelief he went about TEACHING God's word. Faith comes by HEARING. So teaching God's word is more important that praying, but prayer ADDS more power to the teaching of God's word. We need BOTH preaching and FAITH to get the job done. “(As it is written, I HAVE MADE you a father of many nations,) before him whom he believed, even God, who quickens the dead, and CALLS THOSE THINGS WHICH BE NOT AS THOUGH THEY WERE. 18. Who against hope believed in hope, that he might become the father of many nations, according to that which was spoken, So shall your seed be. God’s PROMISE to us is that we can have CONFIDENCE that when we pray or ask ANYTHING that is according to his WILL, that is to say, anything that agrees with God's word and does not oppose his word, then we KNOW that God HEARS us and WILL GIVE us the request we have made. We can be FULLY PERSUADED that God will hasten to perform his word. We must CONSIDER NOT the circumstances or that which can be seen in the natural. We must NOT STAGGER or waver in our faith through doubt, fear, worry and unbelief, but rather we must be STRONG IN FAITH by giving God GLORY, THANKS, and PRAISE for bringing it to pass, even though it has yet come to be. RESOLVE it to be so. Make that FIRM DECISION that it is done. Dispel every doubt. Be firmly determined that it can be no other way than what your heart desires. Be FULLY PERSUADED that God will bring it to pass. Delight yourself in the Lord and rejoice in the truth that your husband is saved or any other desire of your heart. REST in the promise of God, and stay focused on his word resisting every doubt and circumstance that is contrary to what you are believing and then the peace of God will be given to you that will be above your words to describe. And this peace that passes all your understanding will empower you to wait patiently before him, until you actually and physically receive the request that you desired of God. Now here is an example of calling things that are not as though they are. Let’s suppose you have a problem or a habit you are trying to overcome. Perhaps over eating or eating the wrong kind of foods. So before you start your day think of positive things that would make a difference or bring about a change. Now put these thoughts and ideas into words that are affirmative, words that create a picture that you can believe for yourself. Don’t go beyond what you personally can believe. For instance, if eating donuts is adding to the problem, say something like, “I don’t find donuts to be as good as they used to be. I find that I like them less and less each time.” In other words, don't start off by confessing that you cannot stand the sight of doughnuts and even the thought of then makes you turn away, because you know that in reality you really crave doughnuts and could eat a whole dozen for breakfast. Keep in mind that you are calling things that are NOT yet present in your life to be as though they are ready present. Therefore you must be able to believe the words you are confessing. Now some would say that you would be lying. However, you are not doing this to deceive anyone, so how is it lying? God said to Abraham, I HAVE MADE you the father of many nations. So was God Almighty himself lying? Absolutely not! So if you imitate your heavenly Father, how is this any different? Notice that when God said, "I have MADE you the father of many nation that it is past tense. In other words, God did NOT say, "I am going to make you the father of many nations". Now I do not know why God does it this way, but this is how God has set things up, by saying it first, then it being manifested or brought into being later. In other words, step by step you can increase what you can believe, until you can have total discipline over everything you eat. Every now and then if you want just a bite of dessert you can take just a bite and you will not crave anymore than what you yourself set as your limit by the speaking forth of FAITH filled words, calling things that are not as though they were, until they came into being. If you remain steadfast in your positive confessions of faith, you will find that your taste for foods will have changed. You will have changed a bad habit into a good eating habit, all by speaking it into being. I could devote a whole study on just this one principle of praying, but there are more principles to look into. So let's continue this study in God's word on "Prayers That Get Answered" by looking at the principle of binding and loosing found in Matthew 16:19. The word of God teaches us that we have been given AUTHORITY over the principalities and powers in the NAME of Jesus. So take authority over the enemy by binding him in the name of Jesus. Command the enemy to take his hands off your husband or your loved one. Command that Satan loose the blinders that is upon your husband’s eyes so that he may see and understand what the Lord is trying to show him. If you do not know your authority and how to stand in it, then study what God has to say about this subject. God is ALWAYS FOR you. He has already proven this by sending his Son to die for you and all the ones you love. He has already saved all of mankind and is now waiting for you as a believer to stand in the gap and pray that they come to the knowledge of truth. You don’t have to convince God to save your loved ones. He desires them to come to the knowledge of the TRUTH and receive his salvation MORE than you do. God is the one that placed this desire in your heart in the first place. Also know that you are called to preach the gospel and not just pray for people to be saved. Know that faith comes by hearing God’s word and so they must hear the word preached. This can be done in many ways. Ask for God’s wisdom and direction on what is the best way. Keep in mind that spiritual things can only be discerned by the spirit. Therefore pray that the eyes of their understanding be opened. Also pray that his or her heart be GOOD SOIL, so that that word of God that is planted there may grow and bear much fruit and remain because it is firmly rooted. Be specific. Remember that the seed of God's word will grow even on rocky soil. Some have prayed, JUST save my brother, and their brother gets saved for awhile and when persecution and trials come along he throws in the towel, so to speak, and walks away from God. WHY is this? Well I believe that the one who prayed and birthed them into the kingdom were not specific in their prayers and then the enemy took advantage of their WORDS that they chose to use in their prayer. Therefore pray that they will not be deceived. Satan cannot keep anyone from seeking the truth, but he can side track them to thinking they have found the truth. Then commit the keeping of their souls to God, knowing that he is faithful to keep all that you commit unto him against that day of our Lord’s return. Pray that the Holy Spirit draws him or her to Christ Jesus. Pray that they Holy Spirit convicts and convinces them of their sins. Pray the He leads and guides them into all truth. Pray that the Holy Spirit be their teacher and not the doctrines of men and devils. Know that the angels are ministering spirits to those who shall be heirs of salvation. Then loose those angels to minister to your loved ones, to keep then safe and direct their steps. Bind the enemy and take authority over circumstances in the lives of those around you. Call things that are not as though they are already. Remember to give thanks and praise always, even..., or should I say especially while you are fighting the good fight of faith. Hold fast that confidence knowing that God is faithful and that he is bringing it to pass. Know that there is power in UNITY. Find someone of like faith who will stand in faith with you and who will exhort you to keep you focused on the victory and not the circumstances. Pray and ask God for wisdom. Let him direct your prayer. Pray in the Spirit or in other tongues. Prayer for others who have been brought before you by someone else who has a desire for someone who does not know the Lord, knowing that you will reap what you sow. God is faithful to perform his word therefore God will raise up intercessors in your behalf for your heart’s desire, because you have prayed for others. Pray that examples of your love and kindness be a witness to the one you are praying for, knowing that good deeds speak louder than words. Also pray that all the negative and hypocrisy be hidden from his or her view. Pray that you yourself, as well as others, will be a light unto him or unto her. Pray that doors of opportunity be opened to minister to him or her, both by you and others. Pray that you and others will know what to say, when to say it, and how to say it. Pray that everything around him or her will reveal God to them. Simple things like a smile, a hug, a kind word, a compliment, or even something as small as a vote of confidence will reveal God to him or her. Also pray that God causes him to be at the right place and at the right time and to be looking in the right direction to witness all these things. Pray that God would reveal the awesomeness of his creation from the big, to the small or from the small, to the big. Pray that signs, books, papers, magazines, radio programs, TV programs and conversations of people around him point him or her to God. This is where calling for things that are not yet a reality to be as though they already are comes into play. Ask God for ideas to speak out positive things to lead the one you love to God. Pray and ask God how you should pray. Pray that God will prepare their hearts to receive his word with gladness and that they will be hungry to hear the word of God always. Pray that they will not be able to kick against the pricks. Pray that they will not be able to resist the Spirit. Know your enemy. The Bible says we are not ignorant of his devices. Always remember that when praying for others, their “WILL” comes into play. So be patient, it may take awhile, but then again it may not. Don’t be discouraged. Stay in close fellowship with God for his joy is our strength.